Even giraffes are falling for him. At a time when international travel has become more accessible than ever, a broad range of adventurers have set out to map the world, with plenty of ambitious travelers looking to see dozens of countries before they turn 30. 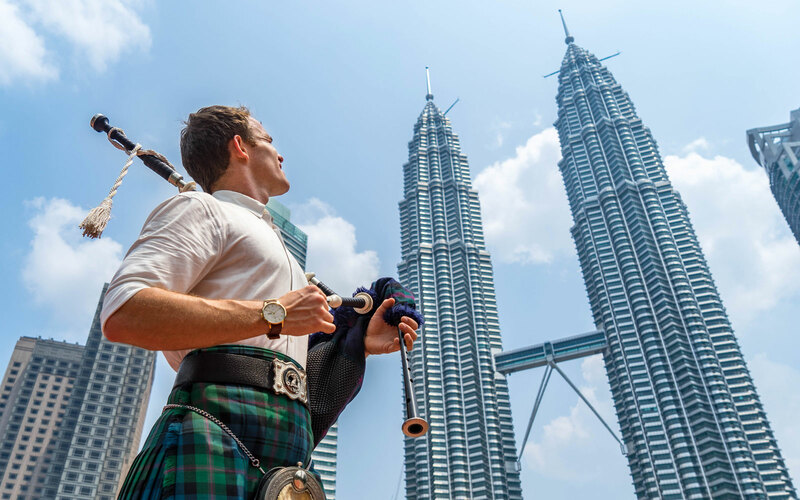 One 27-year-old is going after an unusual record: He wants to be the first person to play the bagpipes in every country in the world. 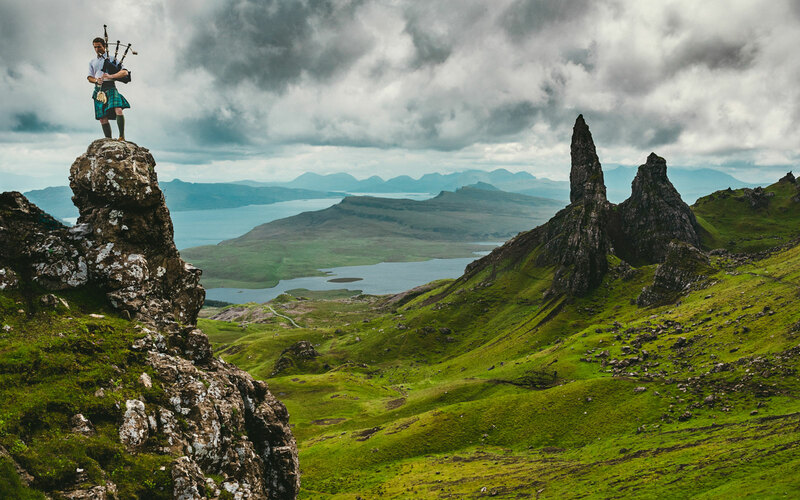 Ross Jennings, based in Edinburgh, Scotland, began traveling the world in 2014 after attending an adventure travel show in London. He was inspired to travel, and promptly quit his job and booked his first trip, to Tunisia. The Scottish lad has been playing bagpipes since he was 14, and he decided to bring his instrument with him wherever he went. 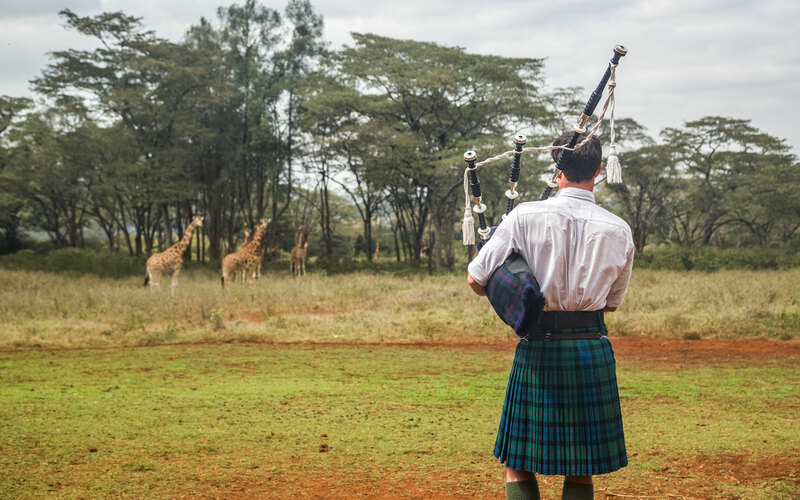 Playing the bagpipes in Tunisia helped him win over security agents, and when he played a tune in a giraffe reserve in Kenya, the animals were so intrigued by the music that they came close enough for Jennings to feed them by hand. So far the Scot has been to 60 countries. As he’s traveled to new places and met a range of people, achieving the record has taken a backseat to enjoying the pleasures of travel.